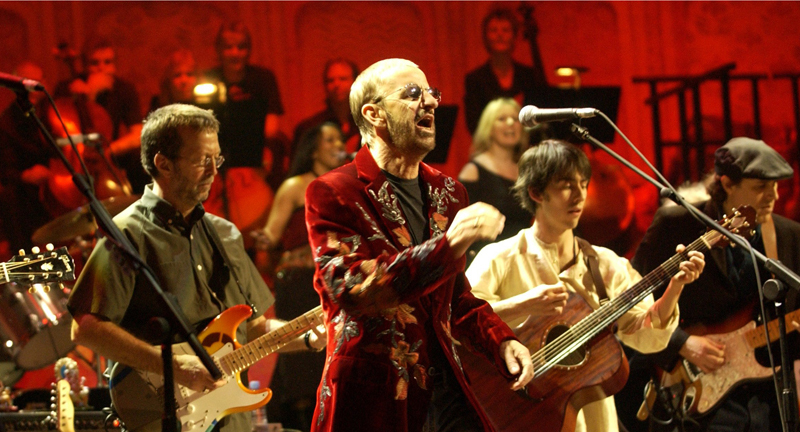 Eric Clapton (left) and Ringo Starr (center) perform at the 2002 Concert for George. Credit: Courtesy of Richard Young © Oops Publishing, Ltd. Celebrate George Harrison’s life in this 2002 memorial concert at the Royal Albert Hall with performances of his music from Paul McCartney, Ringo Starr, Eric Clapton, Tom Petty, Billy Preston and more. Available for the first time in high-definition. Concert for George airs Friday, December 7 at 8:30 p.m. on WXXI-TV.